TBS Launches Aspire ERP — Aspire. ASPIRE Cloud Accounting platform for growing government contractors launched by TBS team, including original Deltek founder and developers. ASPIRE SaaS fees average 50% of competitors’ rates. Workflows, AP Automation and flexible Payroll. Wednesday, November 14. Laurel, Maryland ~ Technology & Business Solutions LLC, a Cloud hosting and services pioneer since 2004, today announces the launch of ASPIRE, a project-based Accounting, Financial Management and Collaboration platform for growing government contractors. 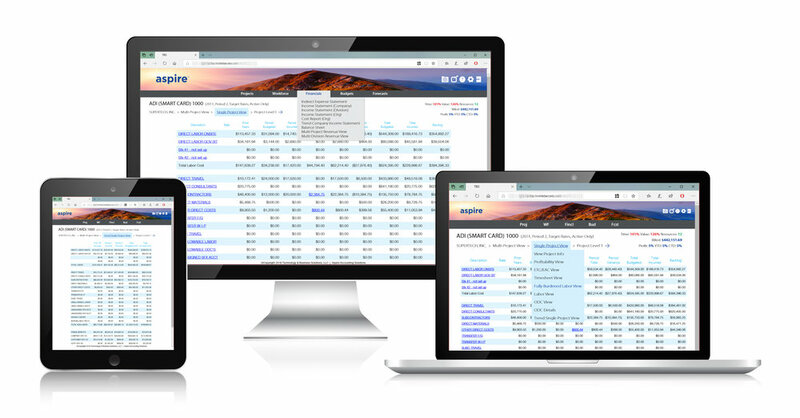 Built by developers that created the initial release of GCS Premier, the very first commercially available accounting system for government contractors, Aspire is viewed by many as the natural successor to Deltek’s popular ERP, recently designated by Deltek for “sustaining” (end of life) support. An original Deltek founder, Mr. Brown is an industry veteran with extensive and pioneering experience as a strategic and technical leader. Over nearly two-and-a-half decades throughout two tenures, Mr. Brown helped guide both Deltek’s software and business growth while serving in numerous capacities. Mr. Brown led the development of numerous Deltek products including Costpoint, GCS Premier, Time and Expense, Vision, GovWin and more. Along with the launch of the Aspire accounting platform, TBS is rolling out a Preview Program for Aspire available through the end of 2018. Businesses joining the Aspire Preview enjoy software discounts up to 30%, automated data conversions from GCS Premier or QuickBooks, and fixed-price implementations averaging 40 to 60 hours. The Aspire accounting platform is NIST800, FAR52 and ITAR compliant, assured with an annual SOC2 Type II audit. Aspire includes tailored modules for General Ledger, Time & Expense, Projects, Accounts Payable, Workforce, Cash Management (coming early 2019), and Budgets & Forecasts, with Payroll integration support. visit Aspire4Projects.com, or call 703.444.6562, extension 1.